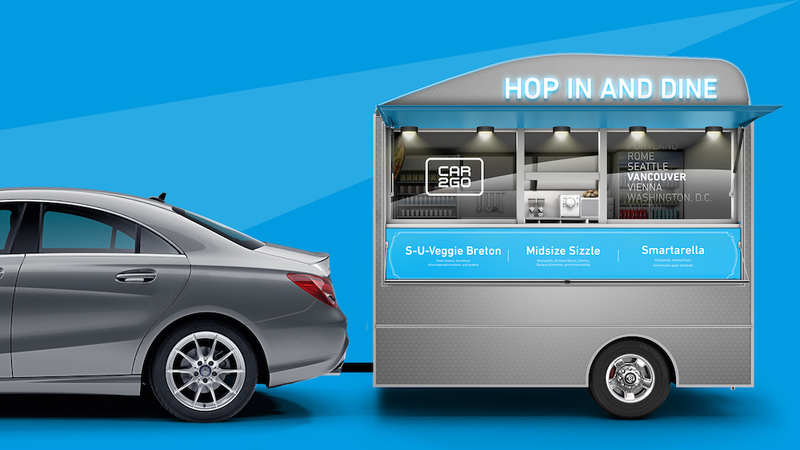 This week, in celebration of the new Mercedes-Benz GLA and CLA car2gos that have been cruising around the city, car2go is inviting Vancouver residents to #hopinanddine on a delicious menu from the FREE food truck. With a menu inspired by the city and crafted by Chou Chou Crepes, diners are sure to find something to excite their taste buds! Vancouverites can come and visit the food truck at the Celtic Fest.